The location of Uitonniemi is exceptionally ideal for nature lovers. The lake district nature, close to which you will find one of Finland’s most picturesque national parks, the Pyhä-Luosto National Park, and four tourist resorts with nature trail networks, ensure our guests relish pleasing and meaningful nature experiences in any season. Kemijärvi is a unique lake destination set in the heart of Lapland’s nature and close to the best fell highland resorts. Kemijärvi offers its visitors activities and once-in-a-lifetime nature experiences on every day of the year. 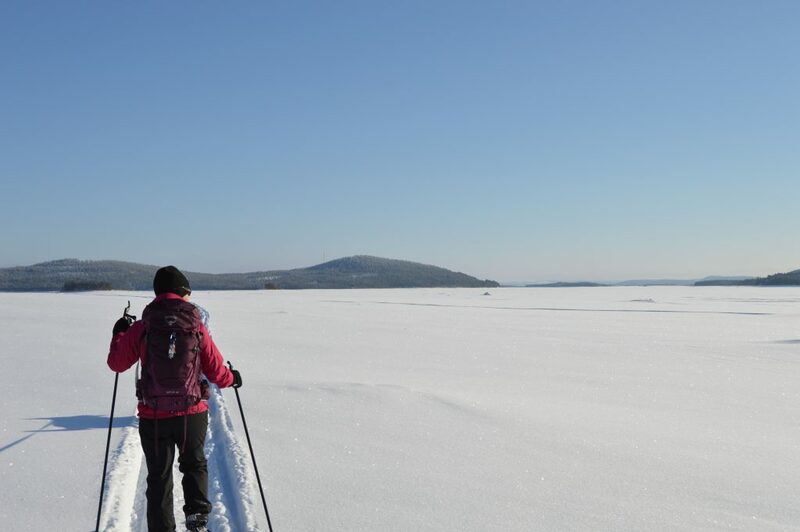 In Kemijärvi, you will discover a comprehensive selection of nature trails, cross-country skiing tracks and snowmobile routes. Explore the rich history of the area at the Local History Museum or at the numerous war history sites. In Kemijärvi, art and culture are also present all year round. Why not visit the award-winning pastel artist Pirkko Mäkelä-Haapalinna’s Home Studio, Artists’ Residence, or marvel at the art pieces made during Kemijärvi’s Wood Sculpting Symposium Week at Puustelli Art Centre. You can easily find all Kemijärvi’s activities at www.visitkemiarvi.fi. You can also book activities for your holiday via us. We are always glad to help you plan your perfect holiday. Find details about events occurring throughout the year in the area on the Visit Kemijärvi website. During the summertime Midnight Sun time, Lapland not only offers never-ending daylight, but also warmth, with guests really enjoying hiking, excursions, boating and cycling in pristine nature. The distance to the Pyhä-Luosto National Park is only 50 kilometres and travel is easily done by bus. The national park has well marked nature routes taking you to picturesque fell highland landscapes. In the wintertime, we act as an agent for reindeer, husky and snowmobile safaris to wilderness campfire spots in Kemijärvi organised by our local partners. Guesthouse Uitonniemi is an excellent base for your holiday, making it easy to take day trips to experience Lapland’s most fascinating and memorable holiday destinations. Just a short drive away you will find, for instance The Pyhä-Luosto National Park with its nearby ski resorts, and the ski resorts of Suomutunturi and Salla. A day trip to Rovaniemi, the Santa Claus Village and the Arktikum Arctic Science Centre and Museum are great holiday activities. Nature lover opportunities throughout the year. The lake district and fell highland nature offer fantastic settings for a whole range of activities. Discover your own trail with our help.